Second Concert Choir (2CC) comprises of an open age group, but most choristers are from year 5 to year 9 at school. 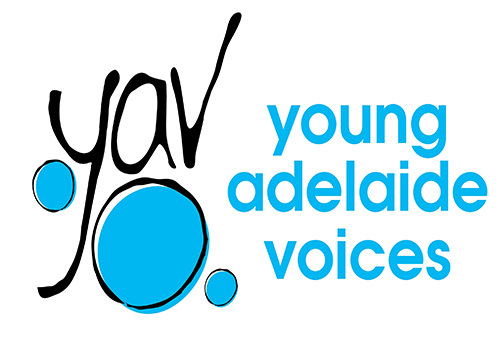 Choristers have sung in either the younger YAV choirs or at school and already have a range of maturing choral skills. 2CC performs a wide range of repertoire for YAV concerts, as well as performance opportunities in the wider community. The choir has been part of a variety of projects, including the children’s operas Stari Most and Daughter of the Sea for the Come Out Festival for Young People, the Adelaide Festival’s “I Am Not An Animal” installation in the panda enclosure at the Adelaide Zoo, the lighting of the Christmas tree ceremony in Victoria Square and the annual Norwood Christmas Pageant. In 2012 2CC performed on Peter Combe’s latest CD release Quirky Bezerky the Turkey from Turkey and joined with Young Adelaide Voices (1CC) to perform with the Adelaide Symphony Orchestra in The Lord of the Rings. In 2015, 2CC combined with 1CC, performed over 20 shows of Patch Theatre Company’s production ‘The Moon’s a Balloon’. In 2017 the choir performed with the Adelaide Symphony Orchestra in the Australian premiere of ‘Merlin and Magic’ by Paul Rissmann and recorded ‘Stan and Mabel’ for ABC Classics. In rehearsals, the choir focuses on developing confidence, independence, musicality and leadership skills. The choristers also benefit from regular musicianship training, in which they learn theoretical concepts and develop their aural skills and the ability to read music. 2CC also has a weekend rehearsal day each semester, where they participate in lots of fun team-building activities, musicianship training, as well as working on concert repertoire and choreography for performances.